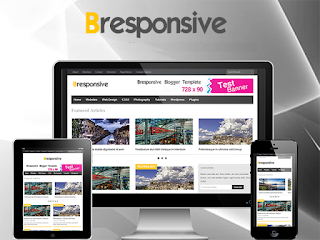 BResponsive Blogger Template is a Best and Modern Responsive Blogger Template. Its 3 Column Gallery Style Blogger Template With 1 Righ Sidebar And 4 Column Footer Area. This Bresponsive Template Can see on Mobile, Tabs And all of monitors and other device. Dual Top menu Link's with Search Box placed top area. Header Right side have 768px ads banner. Every post top right side show major label of post. Bresponsive Blogger Template is best choice for tech related unique blogger blog.